It gives new meaning to the phrase ‘I’ve got a frog in my throat’. Angler Angus James was stunned when he opened the mouth of a fish – and saw a live frog staring back at him. 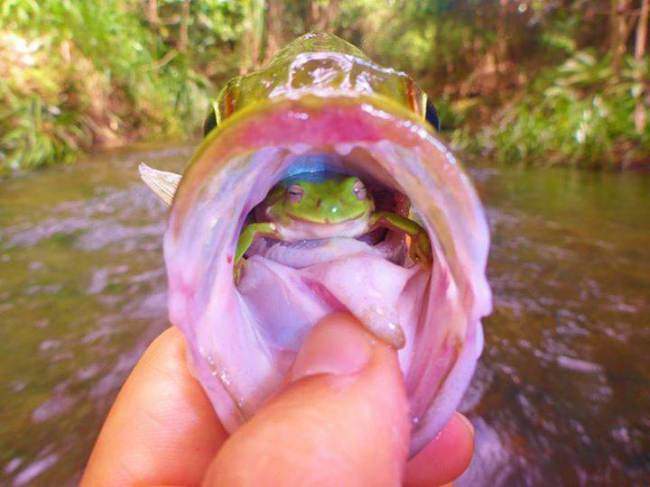 The amphibian was nestled in the throat of the jungle perch, which James caught while fishing in Australia’s northern Queensland. The angler was pulling the lure from the fish so it could be released back into the water when he spotted the frog.